As well as uncovering some of the world’s best immersive experiences, this month we also look at the latest innovations in design and take a peek at the tech that is going to leave a lasting impression on the events of the future. If you’re looking for inspiration, you’ve come to the right place. Looking to make a statement? Move over clothes, accessories, piercings and tattoos, it’s all about body adornments now. These body morphing accessories from new fashion brand A. Human, create an alien-like appearance. 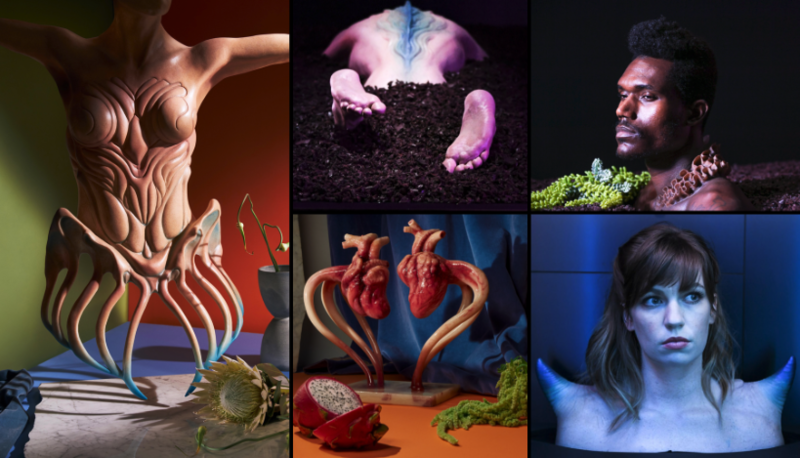 On show in a freaky exhibit for New York Fashion Week, the immersive installation was established by Society of Spectacle in order to challenge ideas about body image and encourage self expression, whilst making people think about the future of fashion. The Keratin based showcase has already caused a stir on social media, after being spotted on celebrities including Chrissie Teigen, Kim Kardashian and Tan France. The Pinnacle (the one with the shoulder horns) are apparently “the perfect statement for special occasions or a night out on the town” – now we’re not so sure about that, but we can’t take our eyes off this strangely captivating collection. Hold on to your walkie-talkies, Universal have teamed up with Netflix to make the “Upside Down” a reality. 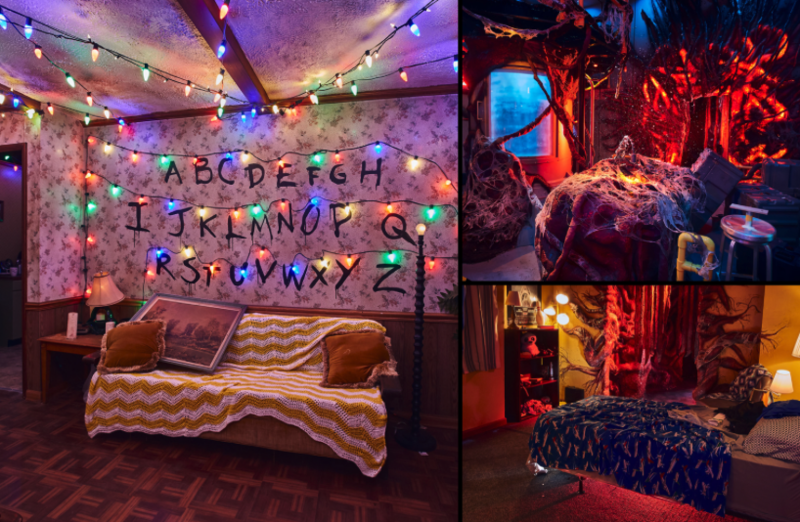 That’s right folks, fans will get a chance to experience the show in real life as three different Universal theme parks will be unveiling Stranger Things-themed mazes as part of the parks’ Halloween Horror Nights events. The show itself won’t be returning until 2019, but in the meantime different mazes will be set up at Universal Studios Hollywood in California, Universal Orlando Resort in Florida and Universal Studios Singapore for those brave enough to venture inside. We hope this works out… We’re pretty sure a corporation trying to reach the other side is how all the trouble started in the first place! The second edition of the London Design Biennale has taken over Somerset House with its immersive installations. The theme for 2018 is emotional states and features participants from six continents showcasing engaging and interactive designs that explore big questions and ideas about sustainability, migration, pollution, energy, cities, and social equality. The theme has been chosen to provoke a variety of interpretations across the different forms of design, with exhibits that questions how design affects every aspect of people’s lives, emotions and experiences. 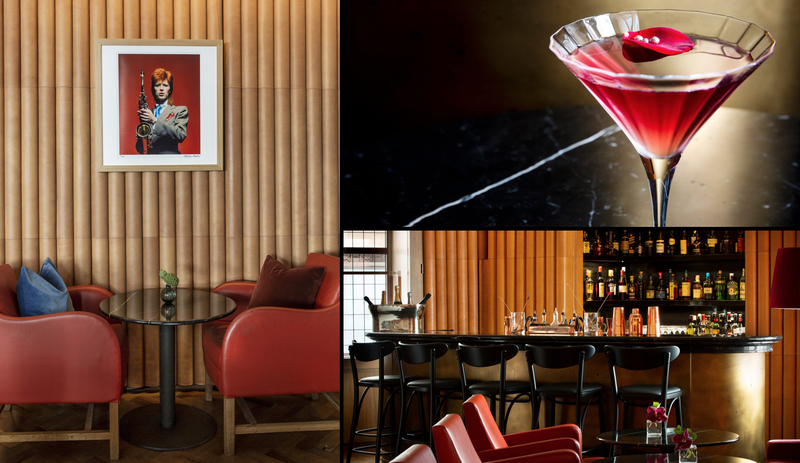 Gentle Monster has launched “KUNG FU”, its first ever retail space in Europe, at Selfridges London. The South Korean eyewear brand, known for its radically innovative retail experiences invites customers on a surreal trip into outer space. 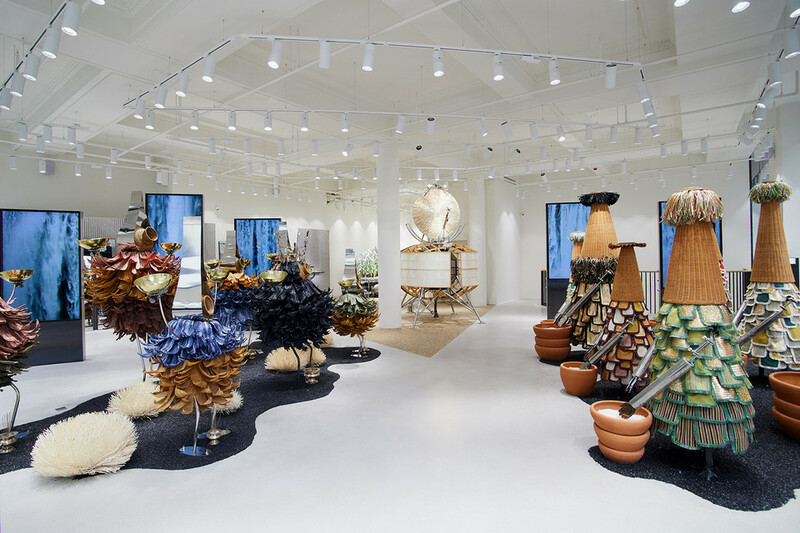 The fully immersive and sensory retail space follows a tribe of extra-terrestrial creatures that travel across space in search of a new territory. Yep there’s a whole backstory. They travel in multiple space ships, trading minerals and micro-organisms for tools and materials necessary for their new settlement. One of their most valuable trading goods are apparently living organisms called Konchylion (Ancient Greek for edible shellfish), which are far from obedient. The new store takes inspiration from the practice of Kung Fu, where its creatures are involved in martial arts training at waterfalls and competing in a championship in front of an enthusiastic crowd. 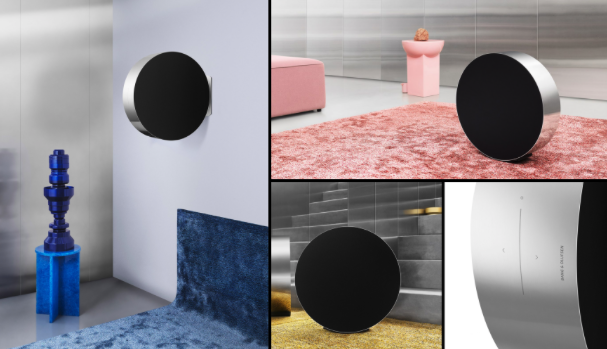 The Beosound Edge is every minimalist’s fantasy. Designed for “intuitive touch and motion”, it’s both a speaker and volume dial in one. About the size of a car wheel, it can be rolled to increase and decrease the volume. When you get close, proximity sensors illuminate the aluminium touch control panel and then you can just roll it forwards or backwards for your desired volume. Unveiled at Berlin electronics fair IFA, it can be used on the floor or mounted to the wall to look like a surreal gravity defying device that’s been sent back in time from the year 2675. 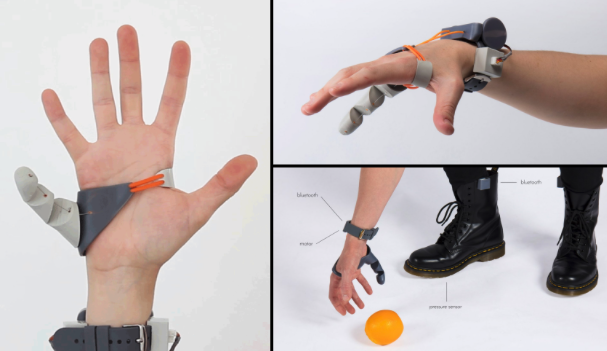 It’s the moment you’ve all been waiting for… a bionic thumb (sort of)! Designed by Dani Clode as part of her graduate work at the Royal College of Art, the device was created to challenge conventional ideas about prosthetics. Rather than being solely used as a necessary aid for people with disabilities, they can also be used to enhance the able-bodied with tasks… like picking up those pesky runaway oranges! The thumb is controlled by the movement of the wearer’s feet, via pressure sensors embedded in their shoes. It might take some coordinating, but never again will fruit slip out of your palm. Not ever. 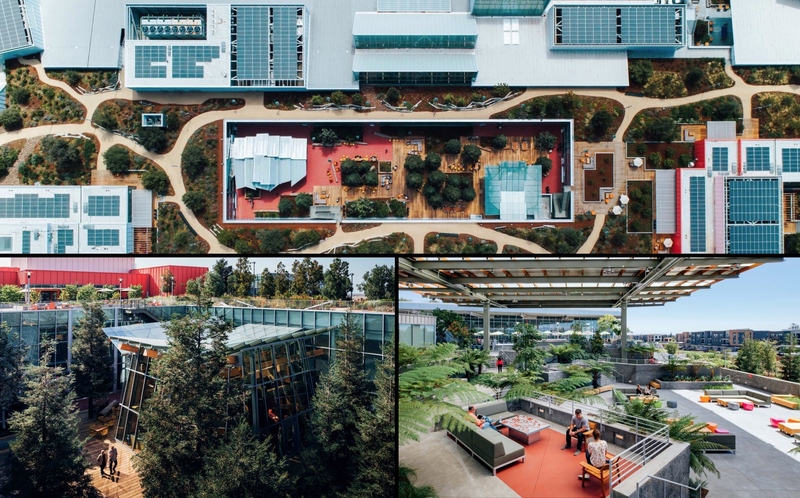 Just when you thought Facebook’s Menlo Park campus in California couldn’t get any more spectacular, architect Frank Gehry has now unveiled a new extension to the building. Designed to bring in plenty of natural light, the building features a sunken garden with tropical plants and staggered seating levels to offer flexible workspaces. A central courtyard forms the “town square” of the complex with restaurants, amenities and redwood trees. Did Facebook hear about the new and improved Clive HQ and have tried to “keep up with the Joneses”? …Possibly. Taking inspiration from Facebook’s culture, the cutting edge architecture continues to evolve alongside the social media giant. There are also a number of sustainable and environmental features such as a water recycling system, solar panels and lots of glass to reduce the need for lighting. Fancy! Now we too can be heroes, just for one day. Or several days. You can visit as many times as you want, who are we to stop you. Haven’t had the time to stay on top of your culture game of late? If you’ve let your dinner party talk start to slip, then this is your chance to play catch up. Frieze is back. 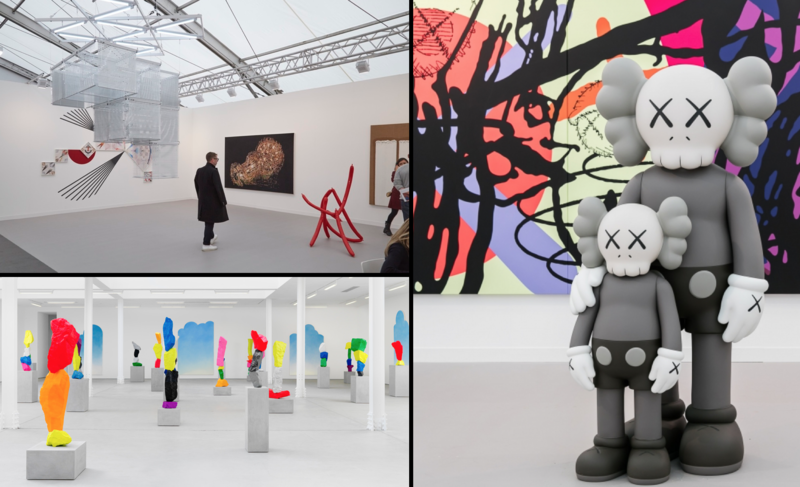 Divided into two fairs; Frieze London and Frieze Masters, the long weekend of all things art, film and self expression will take over Regent’s Park from 4th – 7th October. Frieze London will feature 160 of the world’s leading galleries, offering guests the chance to head down and experience the fair’s critically acclaimed curated sections and talks, while Frieze Masters will showcase art from the ancient era through to the current day, from 130 galleries from around the world. If that isn’t enough material to show off with, we don’t know what is! Lose yourself in Space Shifters. The major sculpture exhibition brings together installations that explore perception and space, to celebrate Haward Gallery’s 50th anniversary year. Much of the artwork is constructed from reflective materials, such as polished bronze and recycled engine oil, to engage audiences in a topic that has fascinated human’s since they first saw their reflections in water. Completely surrounding you, the oily exhibit instantly distorts perceptions, perfectly reflecting the ceiling to leave the oil unnoticed (except for the unmistakeable smell). The surreal stimulation and distortion of senses throughout the exhibits is a great example of immersive art. Something that’s very close to our hearts here at Clive. Try not to get too freaked out by this one… This clip shows a robot created by Japanese researcher Takayuki Todo, which can mirror facial expressions and human-like emotions in real time. It’s an amazing (and terrifying) glimpse into the future. SEER features an in-built camera which allows it to imitate the eye and eyebrow movements of passers-by to a freakishly unnerving degree of accuracy. Oh and it can maintain eye contact too. As if we weren’t already busy enough avoiding all the human eyes on the morning commute! The Polaroid is back once again. 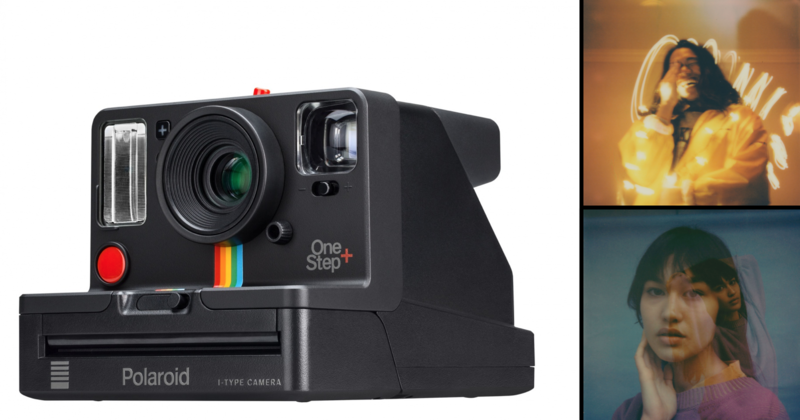 Polaroid Originals have released an analogue instant camera, this time that lets the photographer use a range of creative digital tools by connecting to the app. It features double exposure, soft focus and light painting, not to mention a remote trigger for those next level selfies. It even has a noise trigger that lets the camera take a snap when you clap. Or shout “cheese”, whatever takes your fancy. A secondary portrait lens lets you get closer with a sharper focus than ever before and the rechargeable battery should last up to 60 days on a single charge! Just think of the Instagram opportunities. This photo mosaic station apparently has the “fastest return on investment in the event rentals industry”. We can see why it could be, as it’s certainly got our attention! The Photo Mosaic Wall creates digital & physical mosaics from live event photos. The photos are automatically pulled from social media and on-site photos and allocated to a certain section of the chosen overall image by their predominant colour, much like a pixel. In the “physical setup”, it automatically prints photos as stickers which guests then place on the mosaic board in the allocated section. In the “digital setup”, the mosaic generation process can either be projected or displayed on a large-screen TV. It doesn’t get more immersive than that!